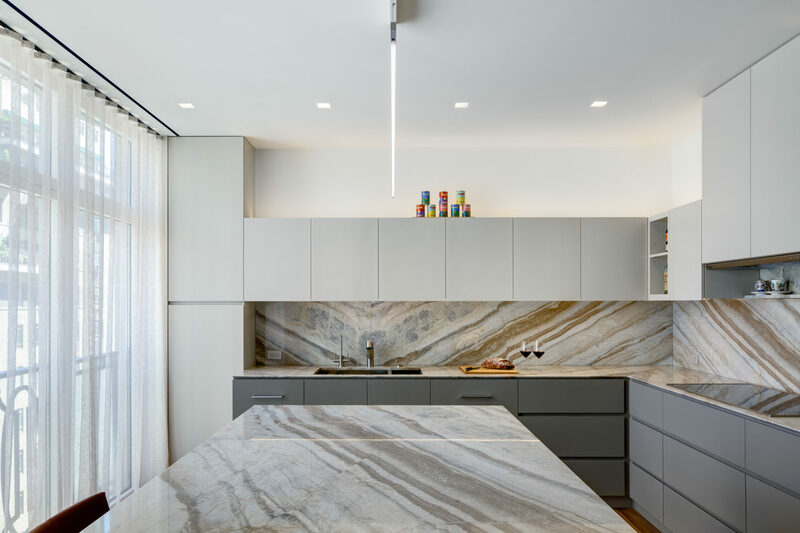 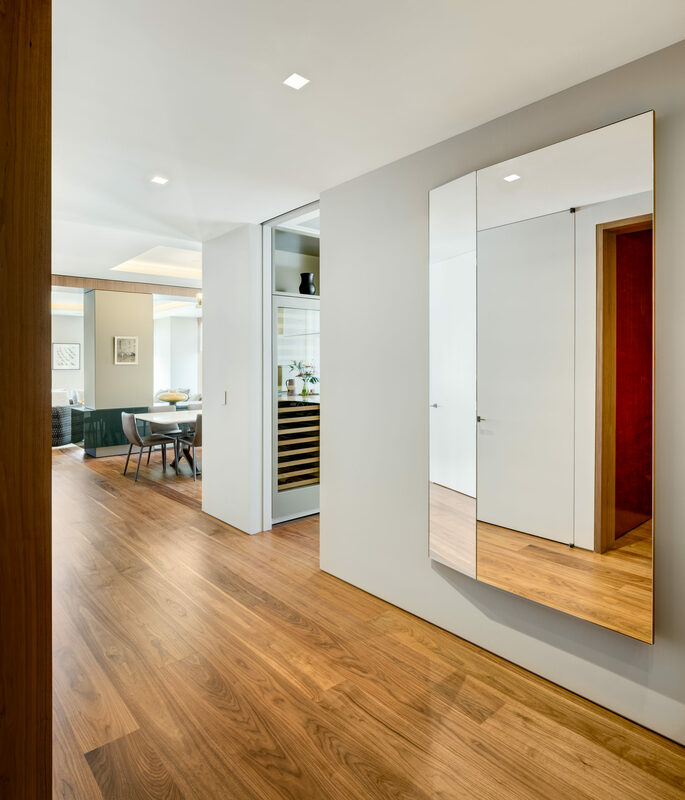 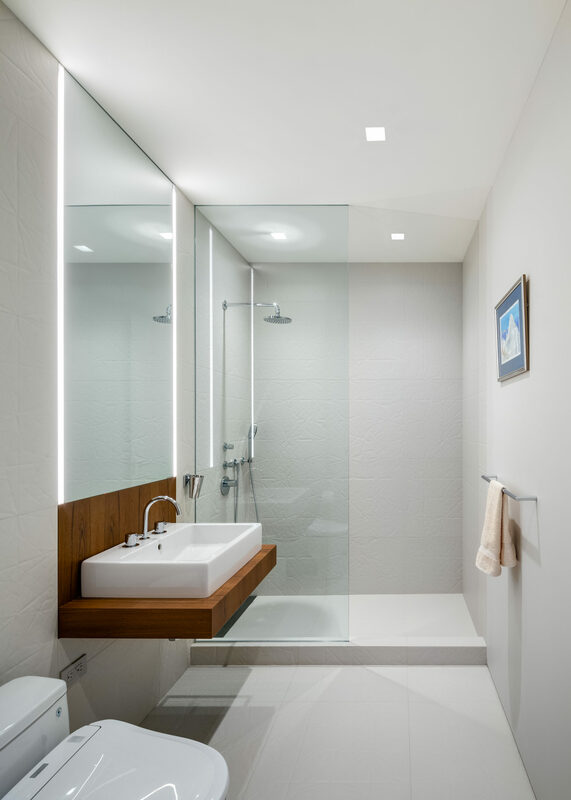 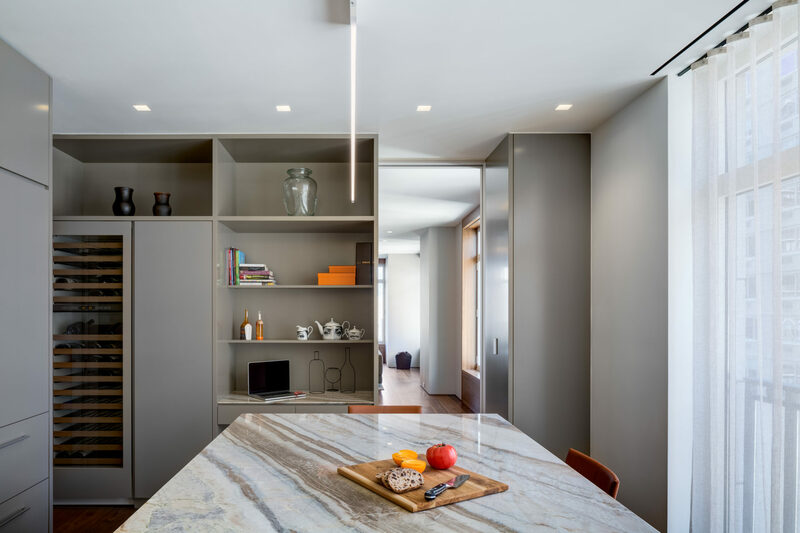 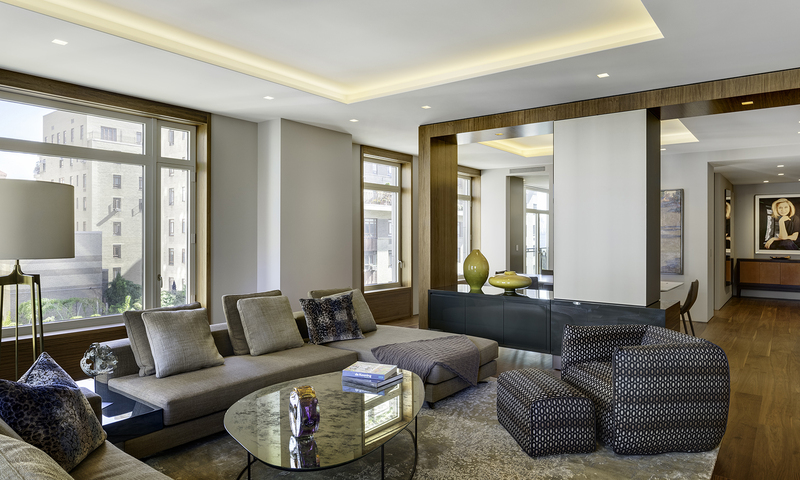 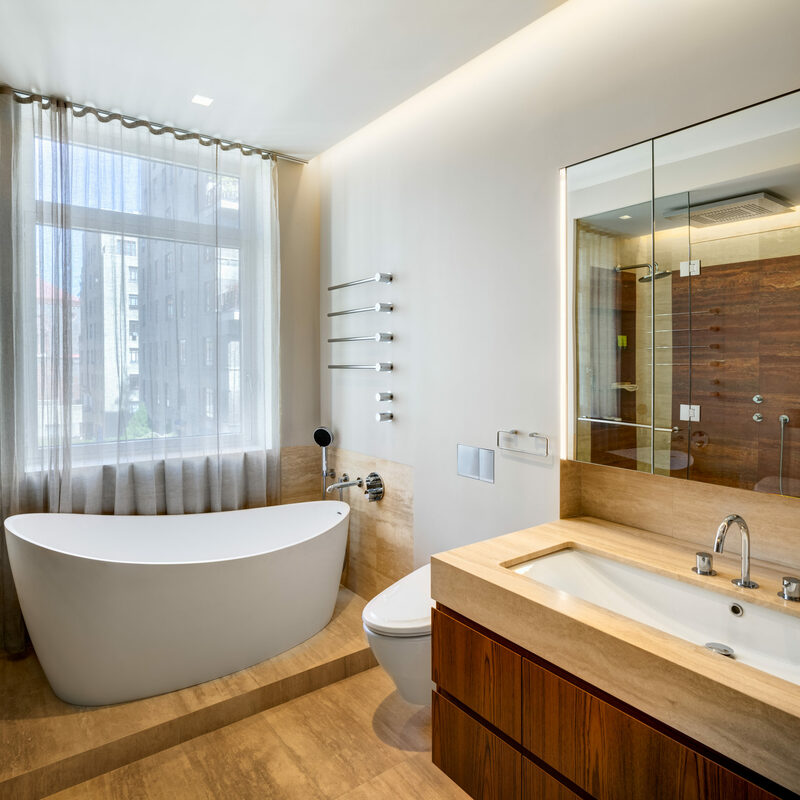 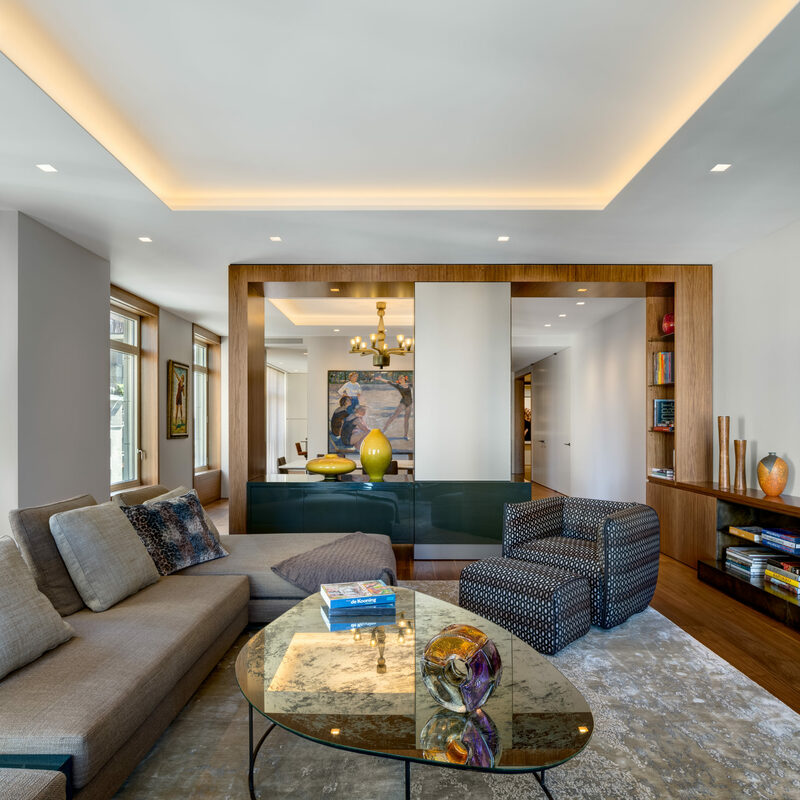 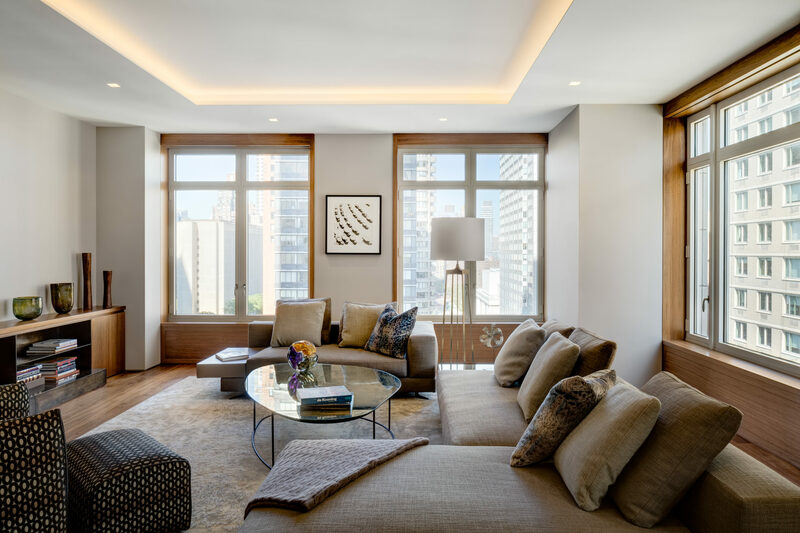 This renovation transformed a traditional apartment in the prestigious 15 Central Park West building into a modern home with a loft-like flow. 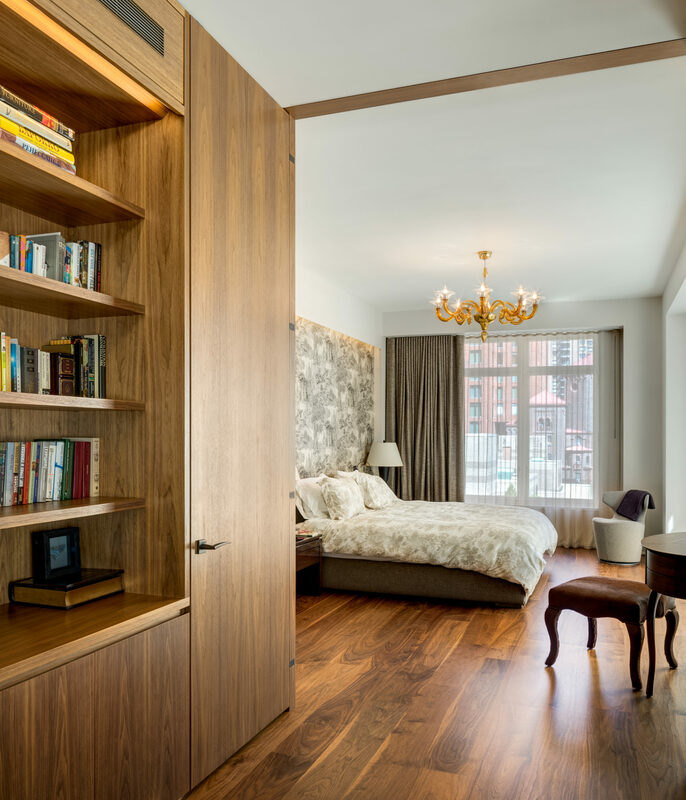 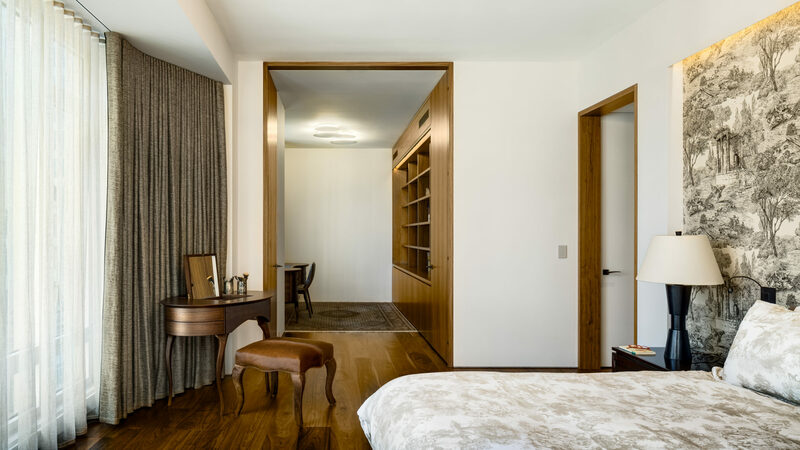 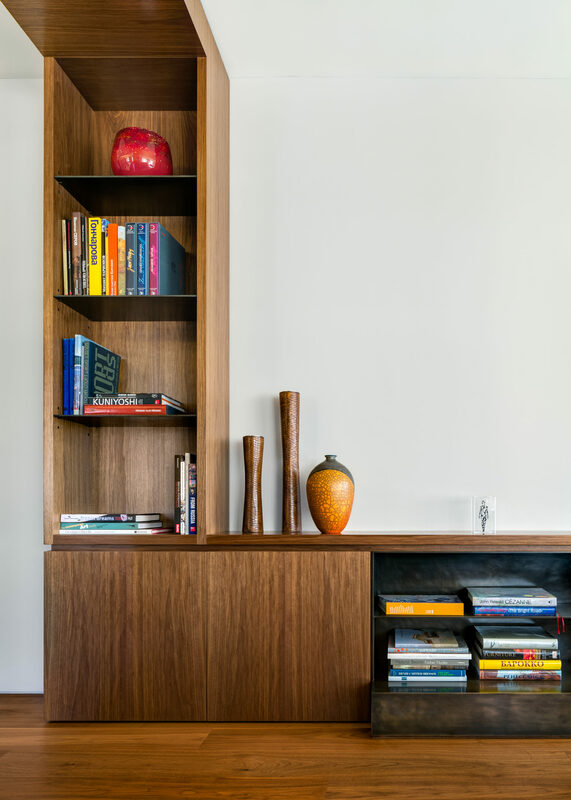 While minimal in detailing, the apartment conveys a sense of both luxury and warmth through the use of custom built-ins and rich materials including walnut floors, a bronze firebox, bronze glass and a lacquered, olive green serving bar. 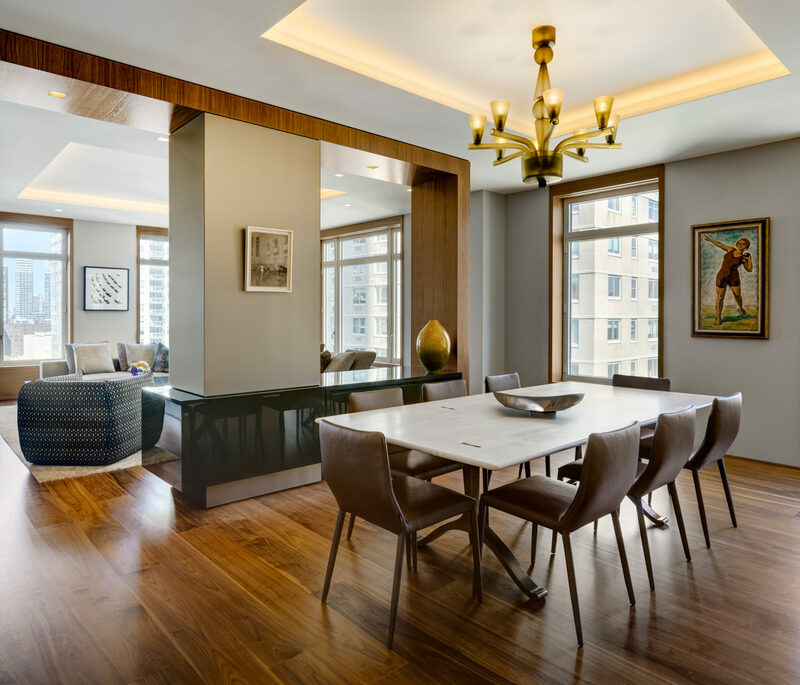 The apartment opens to a large living/dining area in which the modern walnut casing framing the original windows creates dramatic vertical elements. 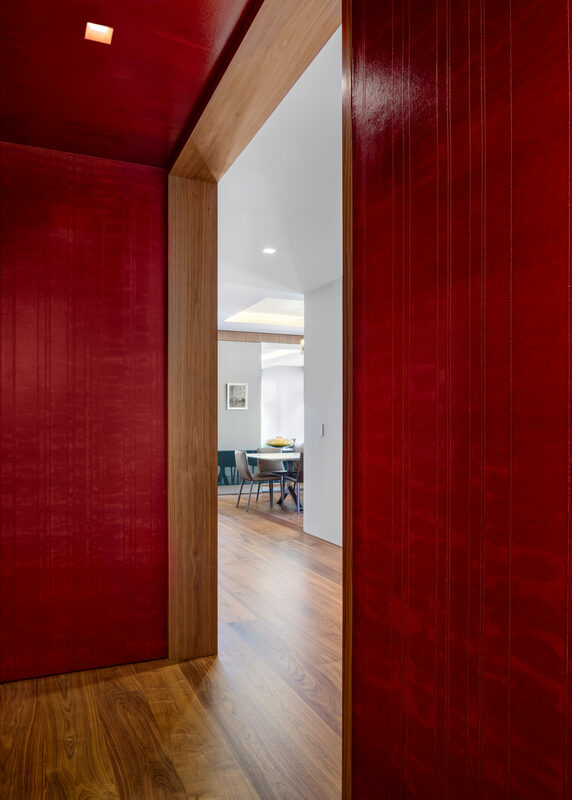 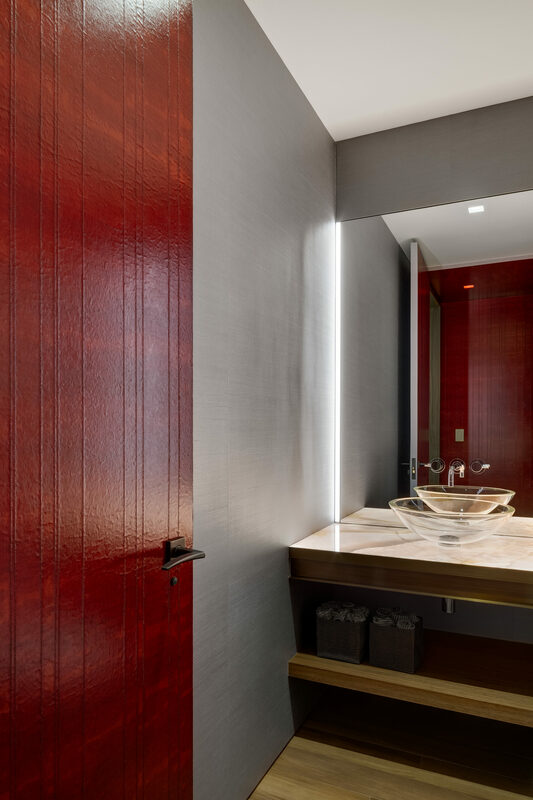 A hall with rich, red lacquered walls leads from the public spaces to the master bedroom suite, with an adjoining study and master bath with ivory and Persian sunset travertine.